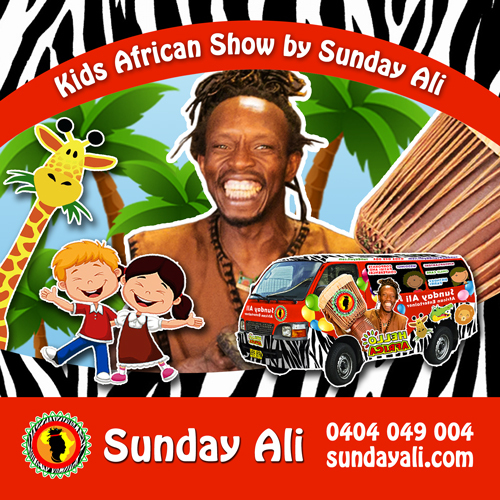 Super cool suggestions for things to do with kids are very inclusive: children of all ages will absolutely enjoy African Drumming and Dancing ‘Hello Africa’ Show with the best teacher in Australia – Sunday Ali. Hello Africa is an energetic and powerful show that will leave everyone feeling happy and inspired no matter what age and culture. Do not hesitate and make your children the happiest in the world. Contact Sunday Ali! 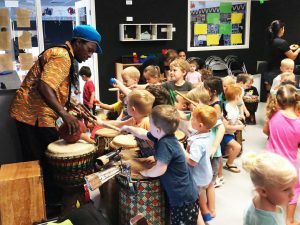 Our show package is for up to 50 children including all show drums and musical instruments to make our show great. 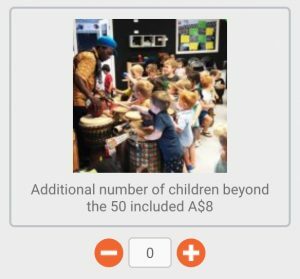 However, on ordering, you can add additional children numbers beyond 50 children by adding them during the order process. Once all is confirmed, you will receive a booking confirmation by email. For any questions, please send us a message on our contact page.